St James House, The Square, Bath - Completed the lettings of the first floor, 3,979 sq. ft., to Savings Champion, at a headline rent of £20 per sq. ft., following the letting last month of the previously vacant ground floor. Donegal House, Bromley - Completed the letting of Units 1 and 2, amounting to 9,442 sq. ft., to Fireteam Limited, at a headline rent of £20 per sq. ft..
Milburn House, Newcastle - Recent re-gearing of leases with three longstanding occupiers: to restaurant operator, El Torero Ltd, to insurance broker & financial services advisor, Lycetts, and to maritime and international trade specialists, Mills & Co; as well as letting additional space to Orange Bus. Marston Moor Business Park, Tockwith - Letting completed of Unit 18C, extending 5,021 sq. ft. to National Veterinary Services Limited for 10-years, at a headline rent of £32,041 per annum. In addition, the Group has disposed of c. £2.9m of non-core assets, including the sale of Wellesley House, Stockport for £1.8m, and various other non-core disposals amounting to c. £1.1m. 2800 The Crescent, Birmingham Business Park, Birmingham - A comprehensive refurbishment programme will commence, investing £2.44m, in the 29,935 sq. ft. two-storey office building. “The Blue Leanie”, Walton Street, Aylesbury – Beginning a comprehensive refurbishment programme, investing £3.27m, in the 66,833 sq. ft. five-storey landmark office building. London & Scottish Property, property and asset manager to Regional REIT Limited, has completed the letting of the first floor, 3,979 sq. ft., of St James House, The Square, Lower Bristol Road, Bath, to Savings Champion. Savings Champion have taken a 10-year lease with an option to break at the fifth anniversary, at a headline rent of £20 per sq. ft.. This follows the letting last month of the ground floor to Carter Jonas. This now sees the building fully let, following the recent refurbishment of each of the floors. In addition to these lettings, London & Scottish Property have agreed terms with the top-floor occupier, Aria Networks, to extend their tenancy from its current expiry in July 2017 for a further 5-years, subject to a tenant break option in January 2020, with a 10% uplift in the headline rent. London & Scottish Property, property and asset manager to Regional REIT Limited, has completed the letting of office Units 1 and 2, extending to 9,442 sq. ft., at Donegal House, Bromley, to specialist online video games service provider, Fireteam Limited. Fireteam have taken a lease until October 2028, subject to break options in 2023 and 2024, at a headline rent of £188,840 per annum with an initial 9-months rent free. The letting follows full refurbishment of the accommodation at a cost of £825,000, resulting in an uplift in ERV to £20 psf from £15 psf. London & Scottish Property, property and asset manager to Regional REIT Limited, has recently completed a number of asset management initiatives at Milburn House, Newcastle, re-gearing three leases and letting additional space. Existing restaurant operator, El Torero Ltd, has taken a new lease on a 3,500-sq. ft. unit, Suite F2, from March 2017 to March 2032, at a rent of £32,500 per annum, with 3-months rent free. This follows the re-gear of the leases to another longstanding occupier, insurance broker & financial services advisors, Lycetts, who extended their lease term from its current expiry in April 2020 to December 2026, subject to a tenant penalty break in December 2021. This agreement sees Lycetts expanding their occupancy within the building to 10,192 sq. ft., at a headline rent of £94,178 per annum. A further longstanding occupier, maritime and international trade specialists, Mills & Co., have re-geared their current lease, which was due to expire in November 2017, from 1 February 2017 for 10-years, at a headline rent of £73,143 per annum. This deal similarly sees Mills & Co. extending their occupancy within the building. Finally, terms have been agreed with Capita Business Services’ digital agency, Orange Bus, to extend and expand their occupancy within the building by taking an additional 3,449 sq. ft. of space, Suite D5. Orange Bus have grown within the building since moving into Milburn House in August 2013. Orange Bus currently occupy 4,694 sq. ft. at a headline rent of £47,040 per annum. The new letting will see the headline rental grow to £81,489 per annum with Orange Bus having signed a new 5-year lease, with an option to break on the third anniversary. Letting completed of Unit 18C, Marston Moor Business Park, Tockwith, with 5,021 sq. ft. to National Veterinary Services Limited, for 10-years from April 2017 subject to a break and review on the fifth anniversary, at a headline rent of £32,041 per annum. London & Scottish Property, property and asset manager to Regional REIT Limited, has completed the sale of Wellesley House for £1.8m. The seven-story office building was let to Trillium until March 2018. The disposal is in line with the December 2016 valuation. 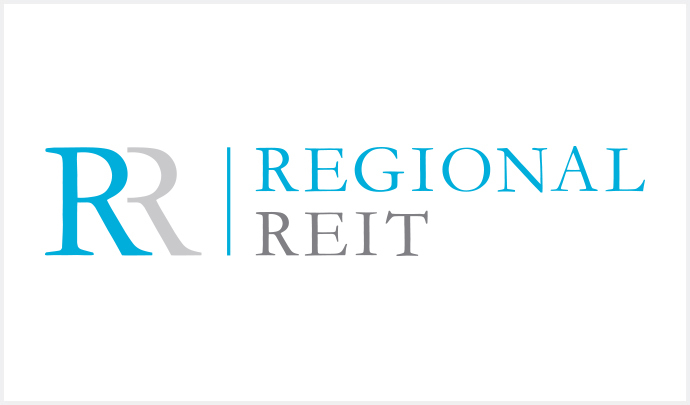 London & Scottish Property, property and asset manager to Regional REIT Limited, has commenced the comprehensive refurbishment of 2800 The Crescent, Birmingham Business Park, Birmingham. The two-storey office building extends to 29,935 sq. ft.. Regional REIT will invest c. £2.44m refurbishing the building to provide Grade A office accommodation, offering suite ranging in size from 5,500sq. ft. with a strong 1:200 sq. ft. parking ratio. The Asset Manager’s specification will include full refurbishment of the office accommodation and include improved office entrance, upgrading and expansion of toilets, provision of showers and upgrading of air-conditioning systems. The Asset Manager considers the timing to be favourable to deliver the building into a strong market at a time when there is little competing stock. London & Scottish Property, property and asset manager to Regional REIT Limited, has commenced the comprehensive refurbishment of Building 2, Walton Street, Aylesbury. Known locally as “The Blue Leanie”, due to its architectural characteristics, the landmark building was acquired in March 2016 by Regional REIT as part of the Rainbow Portfolio. The five-storey building extends to 66,323 sq. ft., offering suites ranging in size from 3,600 sq. ft. to 38,400 sq. ft. and a car parking ratio of 1:307 sq. ft.. Regional REIT will invest c. £3.27m refurbishing the building to provide Grade A office accommodation. A construction programme of 33 weeks is envisaged, with completion scheduled for December 2017. The refurbishment follows the Asset Manager’s letting of two floors within the building to Equitable Life and seeing encouraging demand from prospective occupiers for space in the Aylesbury area. Industrial: Unit 1B, Gateside, Lesmahagow - £190,000.